Football Season Is Just Around the Corner! What better way to keep up with when and where the Wolfpack is scheduled to play than with a handy NC State Football calendar magnet?! Bonus: You’ll have my mug and contact details available at your fingertips, too. Want one? Drop me an email (Ryan@HudsonResidential.com) with your current mailing address and I’ll drop one in the mail to you this week! Or, fill out the form below to request one – whichever is easiest for you. 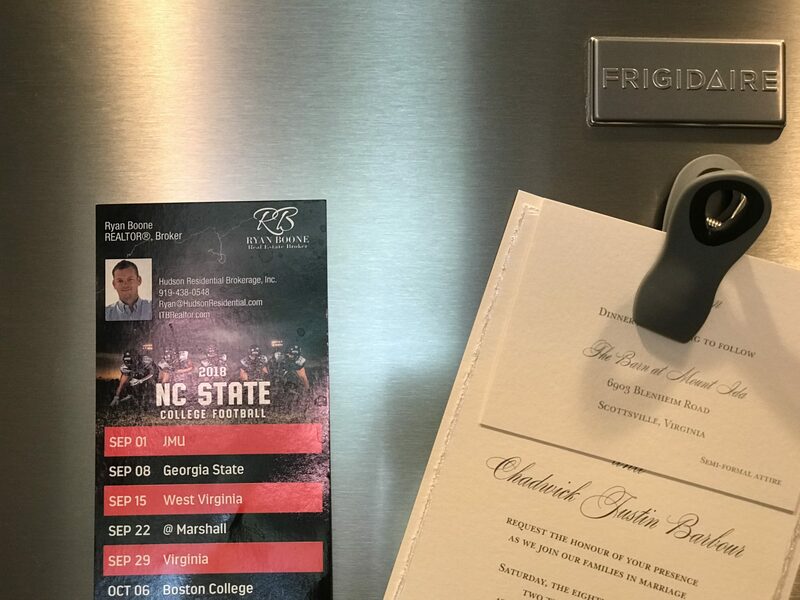 PS: Congrats to my pal (and Lake Gaston REALTOR®) Chad Barbour and his fiancé Kelly on their upcoming wedding, captured above on the refrigerator, too. Taylor and I can’t wait to celebrate with y’all!